Ciaran Mulligan who is the M­anaging Director of Blue Insurances the company that runs CarHireExcess wrote an article for yesterday's Sunday Independent. 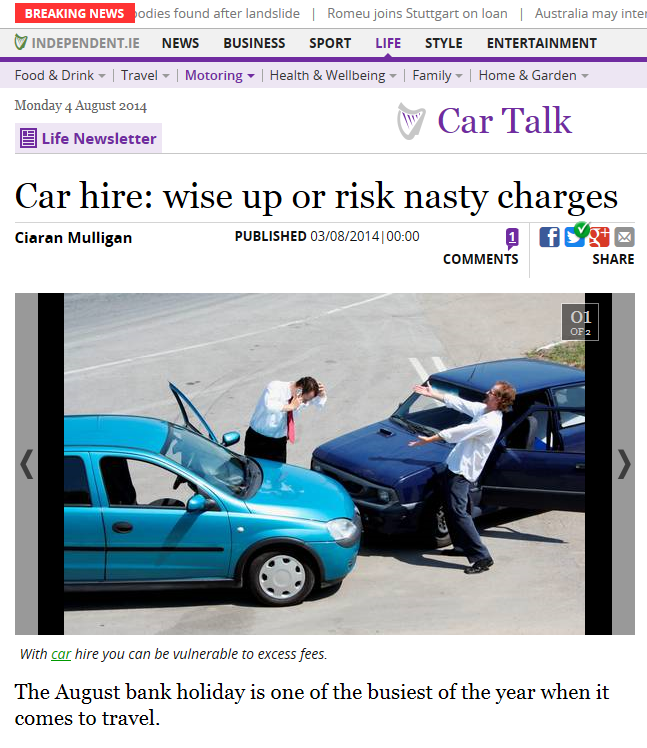 "Car hire: wise up or risk nasty charges" informs readers on Ireland's bank holiday weekend about buying car hire excess waiver insurance when you rent a car. He gives the example of one person "One of our customers recently hired a car for a weekend to attend a wedding in the south of Spain. He initially chose a mid-range car but was persuaded to upgrade to a prestige model as part of a special deal. 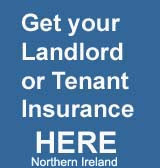 Because he had already arranged his own insurance through ourselves, he refused the rental company's offer of car hire excess insurance. When he returned the car, it was found to have minor damage. He had managed to pick up a tiny stone chip in the windscreen which he thought would be considered wear and tear. The car hire company disagreed. It said that, because the windscreen was heated, it would deduct the full excess of €1,250 from his credit card. This particular customer was told by the car hire company that the car hire excess insurance he had arranged separately with CarHireExcess.com would not cover him, which wasn't the case. He reclaimed the €1,250 charge from his policy, which cost him just €49 a year. Car hire excess insurance can be well worth it - but you must shop around. Otherwise, you could pay hundreds of euro more than you need to."